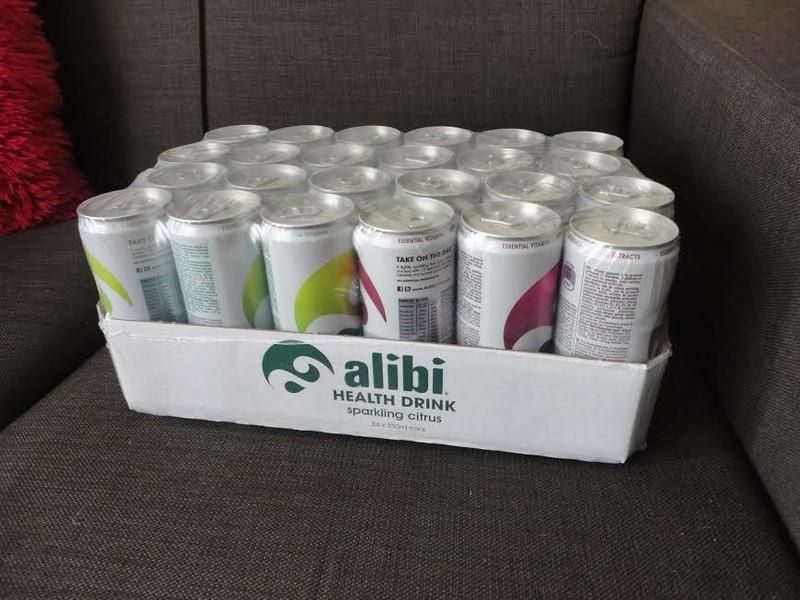 I was recently contacted and asked to review and exciting new health drink called Alibi so I naturally jumped at the opportunity as I was very curious to give them a go and I am a big fan of drinks which taste nice but are also good for you. 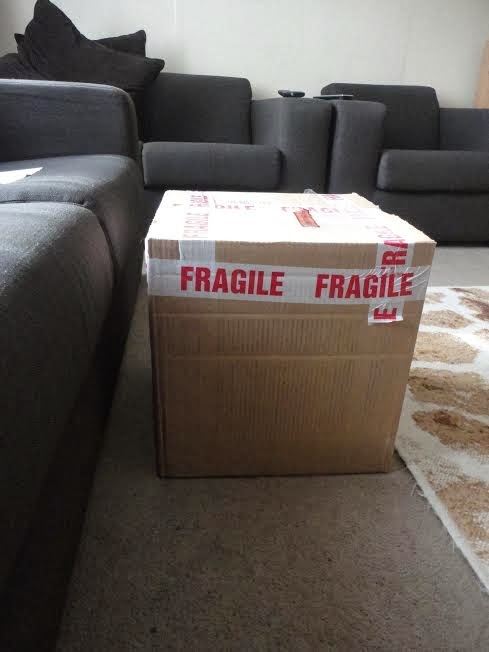 A few days later this box turned up on our doorstep which the postman couldn't even lift..
Alibi’s latest health formula is perfectly designed to support a busy lifestyle. 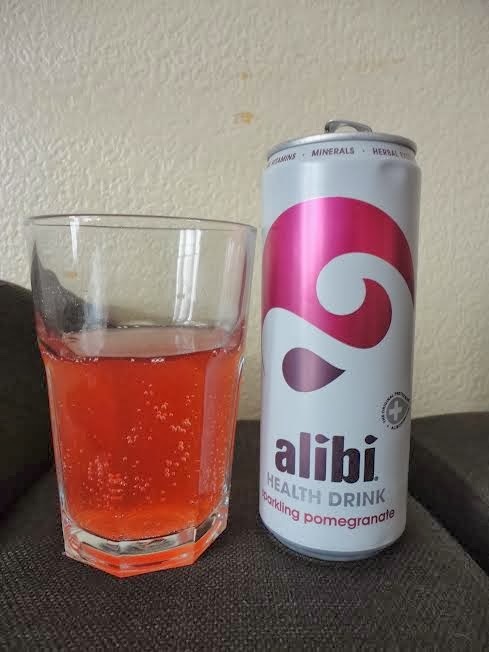 Made with fruit juice, spring water and absolutely nothing artificial, Alibi steers clear all of stimulants such as caffeine and contains no refined sugar whatsoever. 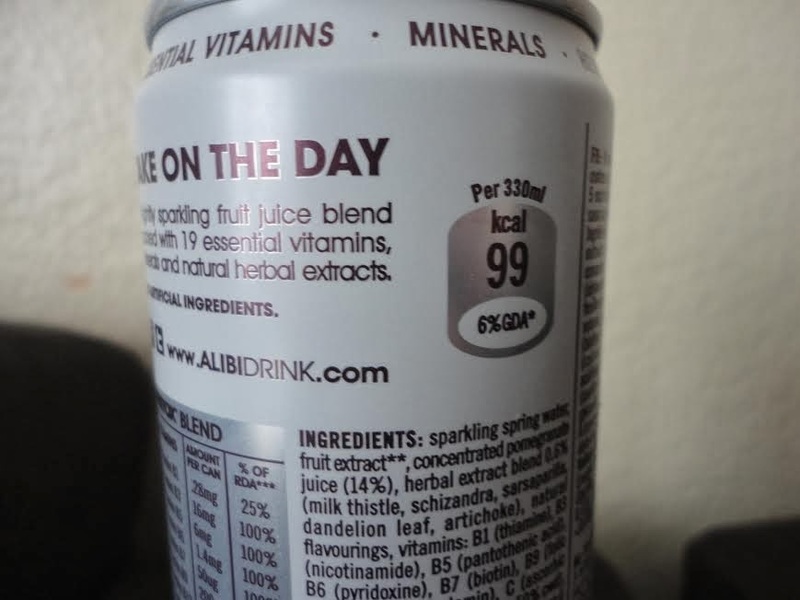 Now with five times the vitamin content of leading vitamin waters and with minerals and herbal extracts, Alibi contains a total of 19 nutrients in each refreshing can, including 100% of the recommended daily allowance of essential vitamins such as vitamin C, D, B12. Complete with Fruit Up, which is an all-natural fruit extract that has a low glycemic index. I received both the Pomegranate and Citrus flavours and, in all honesty, they really are quite nice! 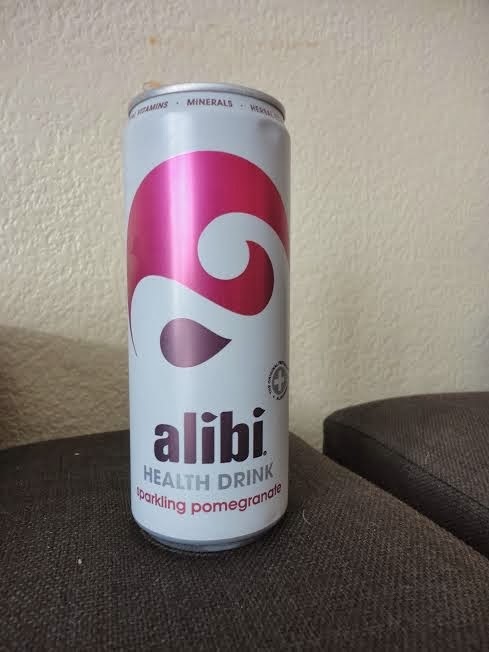 I don't usually go much for pomegranate but it did taste quite nice however the citrus one taste amazing. It reminds me of the flavour of Lilt but is also good for you. They are slightly sparkling which I like and the packaging I absolutely adore. 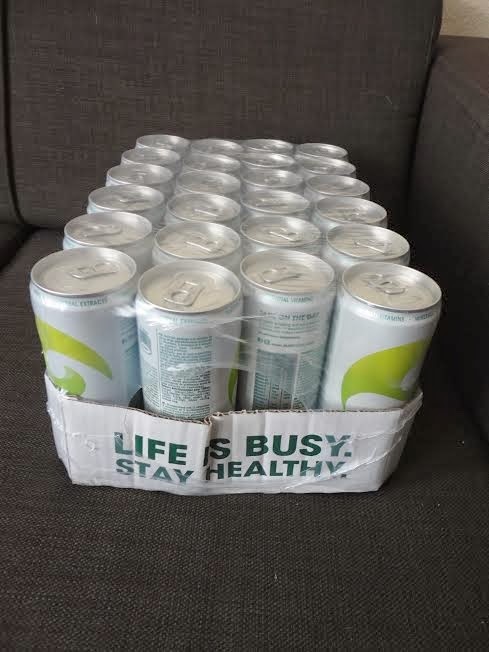 The cans are quite tall and slim but they also feel different to normal cans - more like paper than metal. Also, best of all, they are only 99 calories each. If you want to find out more about Alibi you can have a look at their video..
Or follow them at the following links.. I will be checking these out, for only 99 calories you can't go wrong. Great review.